Take the dogs for an extra walk around the block. I take my dogs one at a time for two reasons: 1. I get even more steps in. 2. They are a little too much for me to handle together. Sweep or vacuum. I have to do this often because, as No. 1 mentions, I have two dogs. When I have a break between tasks, I will walk into another room and do a round of exercises. These can be crunches, handstand practice, jumping jacks, pushups or yoga poses. Find any reason to take the stairs. Take out the trash, check the mail, whatever. Go for a walk or run during my lunch break. Eat lunch away from my desk. It’s not much of a walk, but every step counts. Switch up my work space. I walk to a different room or go to Starbucks or another coffee shop to work. Again, every step counts. Run errands or go to yoga at the studio before or after work. I walk whenever I can. It seems I have exhausted my ideas for how to take more steps during my workday. 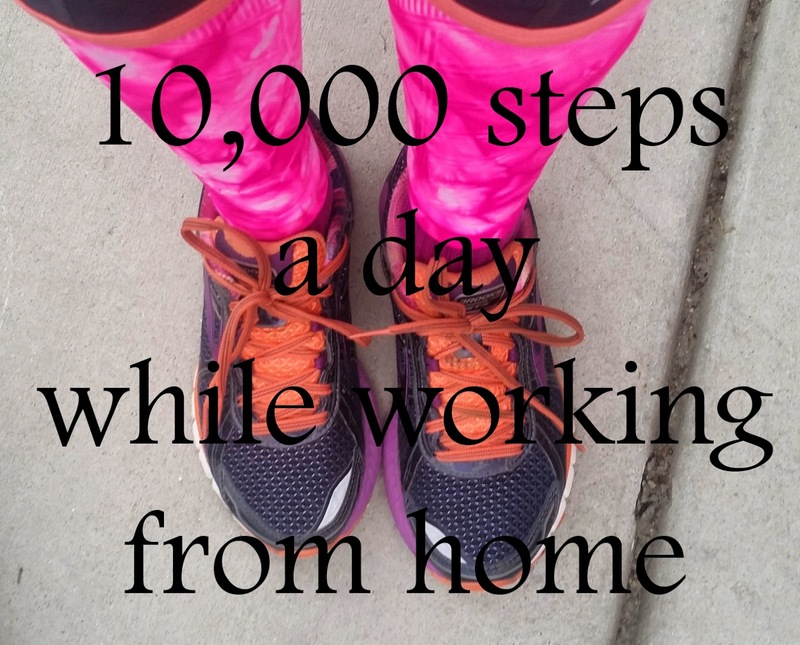 How do you get your steps?